Designed for 32nm/28nm processes, the new chip will clock up to 2.5GHz and equip smartphones, tablets, large-screen mobile computing and high-end digital home entertainment devices. 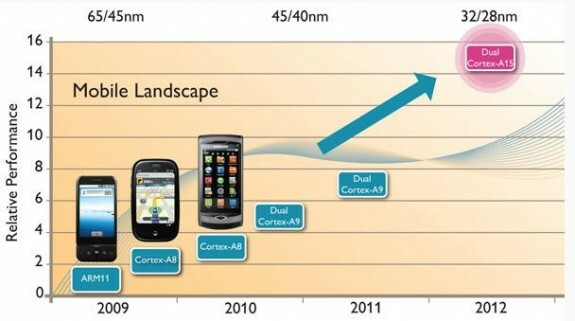 “The launch of the Cortex-A15 MPCore processor marks the beginning of an entirely new era for the ARM Partnership. It brings together more than 20 years of ARM expertise in low-power design with a host of new and very aggressive high-performance technologies,” said Mike Inglis, EVP and GM, processor division, ARM.